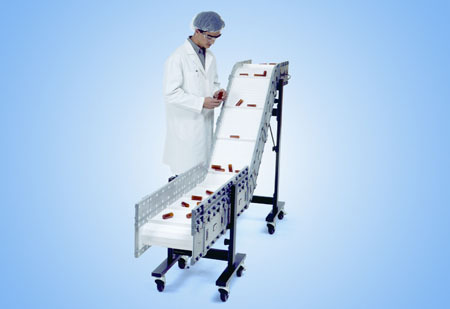 Hecht Technologie, a German supplier of systems to handle bulk solids used in the chemical, pharmaceutical and food industries, has added the PCC 700 pneumatic conveyor to the compact ProClean series, which offers more conveying power (up to 8,000kg/hr) and the ability to transport bulk solids over long distances and heights. 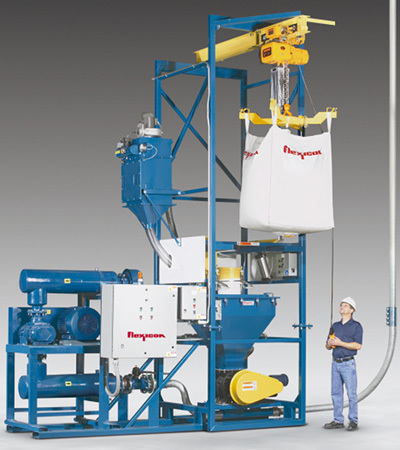 From a Big Bag discharging station, for example, the product goes via hoses and the product inlet valve into the separator vessel and fills the PCC 700 conveyor. The product gas mixture is then separated in the filter units. When the PCC 700 is fully filled the suction cycle stops and the product outlet valve opens. 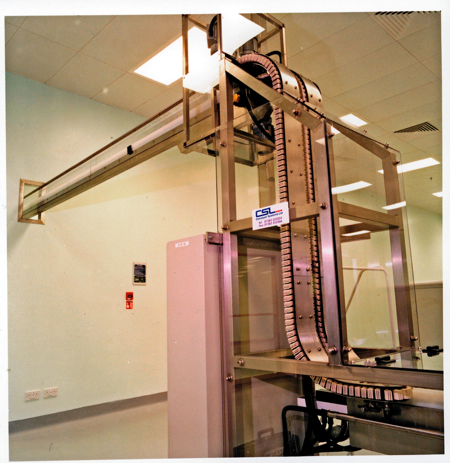 The product is then discharged for further processing. The PCC 700 series achieves its powerful performance owing to its four huge filter units and the big volume of the separator vessel. 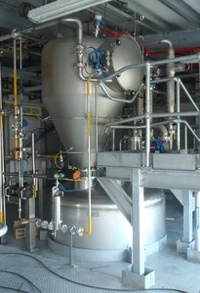 Because the suction of the product takes place via vacuum and the alternate sequence of filter cleaning (two are cleaned and two are used for conveying), it is possible to convey the bulk solid over long distances and heights. 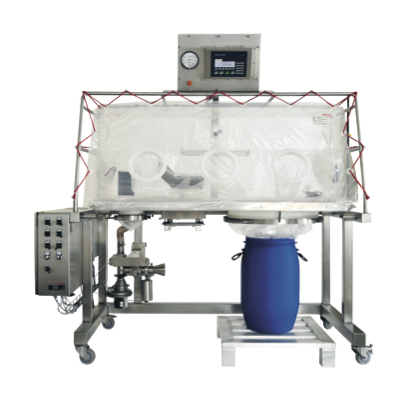 It also allows the complete volume of the separator vessel to be filled with only one suction cycle. 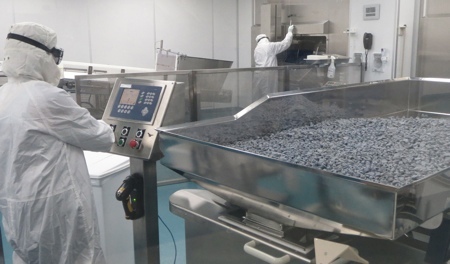 The company says the huge filter-area (up to 3.6m2) allows more effective transport of very fine grained products (< 1µm). 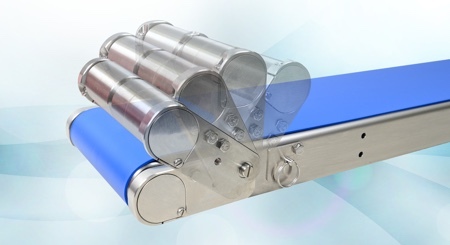 Less filter stress also has a very positive effect on the life of the filter units. Any filter changes can be done within a few minutes completely by hand without any tools.